The Sroka inflatable SUP River 9'5 model has been developed for those who are looking for the perfect match for white water paddleboarding. The versatility of the shape also allows it to paddle flatwater too and excels as a stable platform for yoga. Where it really shines though is on the river, you can use the River 9’5 for basic class 1 and 2 rapid surfing and river running performance. The 6'' inches of thickness and 36" width will give you the best compromise of stability and maneuverability. The narrow tail helps the board to turn faster, getting you were you need to go effortlessly. 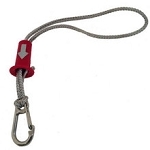 The rocker has been developed for optimal handling on rapid waters. 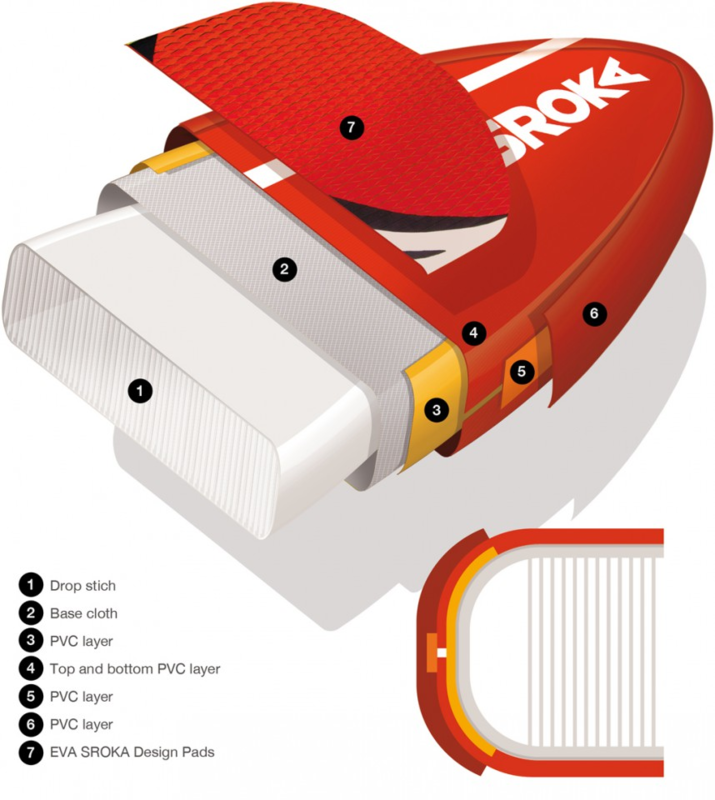 Sroka was the original brand that uses all removable fins. This model is equipped with a quad removable fin system. 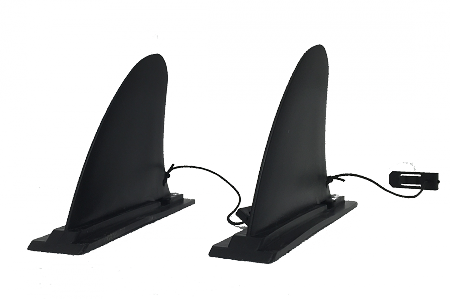 Being able to remove your fins gives you the flexibility to use two or four fin setups depending on your personal preference. Also, If you damage a fin on a rock, replacement is simple and worry free. By removing the fins, packing down your inflatable is easier and more compact as well. Weight: 11.3 Kg / 25 Lbs. Maximum load: up to 100 kg / 221 Lbs. 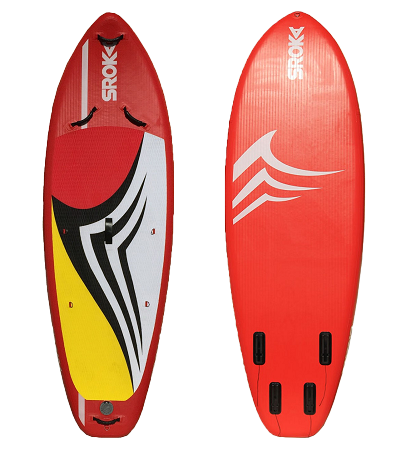 Package content: Inflatable Sroka 9’5 SUP, high pressure pump with the gauge, SUP board bag, & repair kit.